I am obsessed with highlighters and illuminators!!! I am on a constant quest for that Jlo glow. 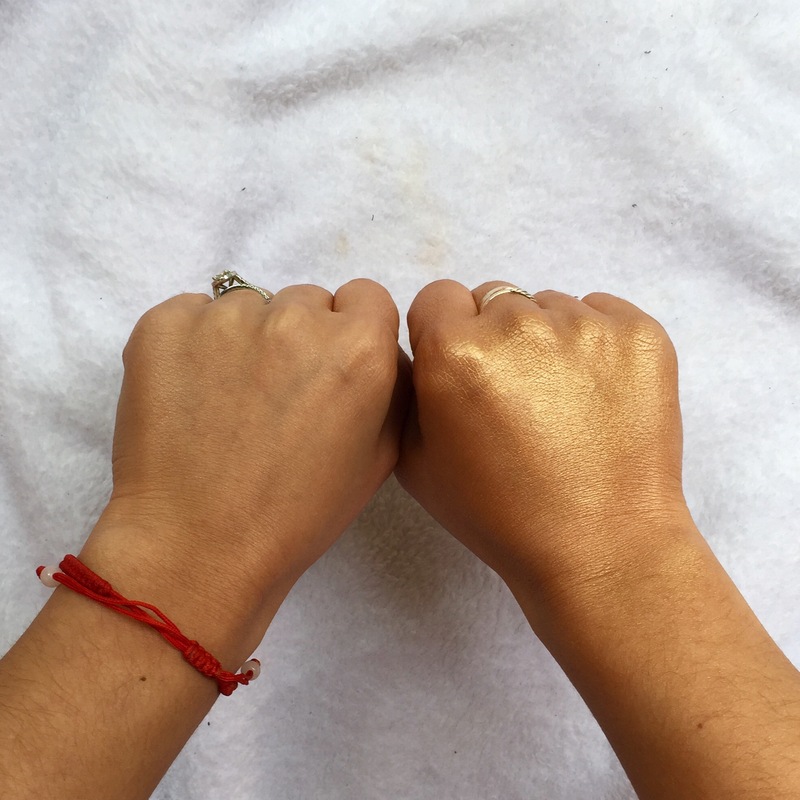 I recently received Melanie Mills Hollywood Gleam Body Radiance in Rose Gold and I had to immediately put it to the test! The light weight formula had me wishing it was summer stat!!!! You can see in the above picture that my left leg has an application and my right is bare! Another swatch using my hands!! It really does give you the perfect glow. In the above picture you can see that it evened out my skin tone and gave me a nice golden glow. My legs loved the formula as it was also moisturizing! I cant wait to try it on my face now!!! Make-up, moisturizer, and glow all in one! Posted in beauty, bronzer, makeupTagged beauty, bronzer, makeup, melaniemillsBookmark the permalink.